many valve types manufacted by valve suppliers china, valve components suppliers and valve accessories suppliers in china. Valves control or interrupt flow. Basically, they have bodies furnished with flanged or screwed ends (or ends prepared for welding) for connection to the joining pipes and internal passages arranged so that they can be restricted or closed, this is done, in valves,by lowering, raising or rotating a disc in relation to a seating surface or by controlling the movement of a ball. 2. valve types that china valve manufacturers can make. the most commonly used valves fall into the following categories:globe valves, gate valves, butterfly valves, check and non-return valves and control valves. all these types valve can be manufactured by valve suppliers china. 3.The globe valve has a bulbous body, housing a valve seat and screw down plug or disc arranged at right angles to the axis of the pipe. china valve components suppliers export lot of such kind of valve components castings abroad every year. 4.Unlike the globe valve,gate valves give full bore flow without change of direction. a gate can be moved in a direction at right angles to the flow by ascrewed spindle working in a nut.valve accessories suppliers in china made OEM such kind of valve parts according to importers' drawings. 5.A check valve is another name for a non-return valve, it allows flow in one direction only. 6. A relief valve can be used to ease excess pressure.lt consists of a disc held closed by a spring-loaded stem. the compression on the spring can be adjusted so that the valve opens at the desired pressure. Usually valve and fittings fitted in engine rooms,boiler rooms,pump rooms and shaft tunels are to be easily_accessible for operation.Where the valves and fittings are situated under the floor plate.not easily accessible for operation, they are to be provided with extended operating_rods or tools for operation. Furthermore holes are to be cut in the floor plate under which the valves or fittings are located and to be provided with covers. hope valve world 2016 can have a good year. Since China open the door to the outside in 1980. China valve castings manufacturers boomed year by years as they supply valve castings to abroad. at that time china valve castings manuacturers mainly export to USA. EUROPE.JAPAN,SOUTH KOREA. etc. export price at very lower level. have very good competitive adavnce. lots of valve castings manufacturers growed up from then. for 30 years valve castings exporting. china valve castings manufacturers learn lots of knowhow on valve castings process,valve casting radiography technology,valve casting defects finding skill.valve casting materials according to ASTM. JIS. BS,DIN standards. now china valve casting foundry can take almost all kind of valve castings from ball valve castings,industrial valve castings,valve housing castings,valve body castings,globe valve castings,valve box castings, gate valve castings to valve casting vs forging,valve bronze casting,valve die casting,valve investment casting,hydraulic valve castings and radiography of valve castings. 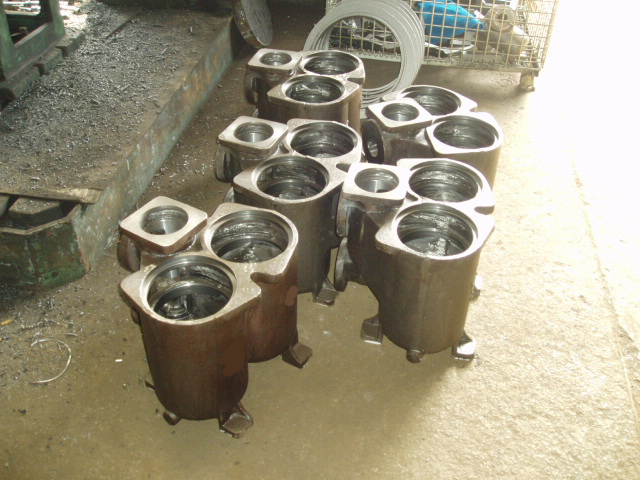 valve castings manufacturers in china's valve casting grades now is at very higher grade. quality very good, delivery on time valve body casting process machining by CNC lathes, valve body casting defects inspection checking have very adanvced tools. that why lots of valve body casting buyers from the world come to china to cooperated with china valve castings manufactures. from all over the world valve casting importer import their valve castings from china. but since 2008 the world economic recession. China valve castings manufacturers come to the cross road. and have to face valve casting manufacturers in india compeitition, those valve casting companies in india have some advantage which we do not have. that is lower foundry workers salary. currency change rate against US dollar very lower. these two key factors for valve castings india have very competitive prices thant china valve castings. so some of valve casting buyers go to india. But China valve castings manufacturers also have our own adavance which casting manufacturers in india not have. that is we have more than 30 years valve castings exporting history. good quality, transport highway convenient. high level teach foundrymanship. high tech machining CNC equipments. and we have widely valve casting buyers net we set up through 30 years exporting business. now china valve castings manufacturers must do is improve our valve castings quality, improve our manufacturing management system so that to lower our product cost, delivery on time. so that to do our best to keep china valve castings exporting business as better as before.